These days with almost hourly revelations of high-profile men -- albeit in the media industry or politics -- getting called out for sexual misconduct allegations, it's hard to ignore director Woody Allen's own controversial past (he married his stepdaughter) when gauging his new film Wonder Wheel. Of course, the idea is that we critique the work and not the artist. That is fair. And yet, in a stroke of cosmic cynicism, it turns out that Allen doesn't need any shade from his personal past to hurt the intended success of Wonder Wheel because the film is just plain ol' bad. 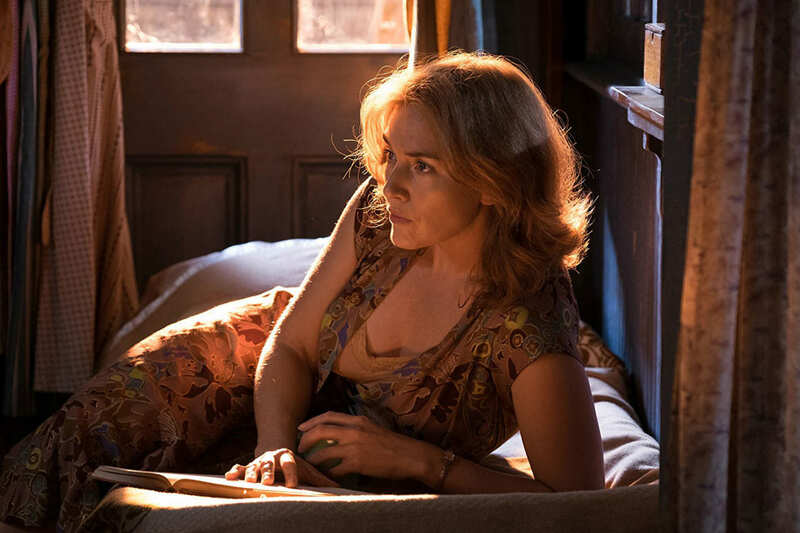 Wonder Wheel stars Academy Award winner Kate Winslet as Ginny, our disillusioned and itching-for-another-crisis heroine. Ginny, her husband Humpty (Jim Belushi, bless him) and her son Richie (Jack Gore) live in an apartment looking over the boardwalk of Coney Island. It's the 1950s. Summer is winding down, resulting in less attendance and therefore less money for our boardwalk inhabitants. Someone who does arrive to the boardwalk is the young and pretty Carolina (Juno Temple), with not a penny to her name. She quickly finds Ginny and reveals herself to be Humpty's exiled daughter from his first marriage. Years ago Humpty refused to approve Carolina's wish to marry her mobster boyfriend. Carolina went ahead with the marriage anyway and as a result, Humpty had Carolina ostracized from Coney Island. After being married to the mob grew old, Carolina ended up talking to the cops about her husband. Now a couple of mobsters are on her tail. Fortunately, the last place on Earth the mob would come snooping around is the place she is banned from. Right? But that's not even the central plot of Wonder Wheel. The real narrative lies in Ginny's yearning to feel fulfilled again and to light the flame that she feels went out on her. Her hunger for that fire of life is further punctuated by Vittorio Storaro's expressionistic cinematography, with its red orange hues beaming across Winslet's face. (In an amusing subplot, her son Richie excites his life by actually starting fires in the most random of places.) Ginny finds a temporary solution for her woes in an affair with the beach lifeguard played by Justin Timberlake. Timberlake is not as striking here as he was in The Social Network but then again he is also tasked with being Wonder Wheel's narrator. I would love to tell you that all of these strands and desires and plots come to a satisfying head, but like the lesser of Allen's films, they sort of just drift away from the screen and eventually from us. Look, Woody Allen has made some great films (Crimes and Misdemeanors, Match Point) and even when he's not striving for gold he can churn out entertaining stories (Small Time Crooks, Midnight in Paris). Considering that he averages about a film a year, we won't be in turmoil too long with this unsuccessful entry.